In a move that has many Texas fans anxious with anticipation, Netflix has announced it will be covering the life of Selena Quintanilla in a new series. The entertainment streaming platform revealed that the scripted TV show, aptly titled “Selena: The Series,” will be developed with the Quintanilla family who will also be the executive producers. The trailer designed as a Netflix teaser makes use of one of Quintanilla’s biggest hit singles, “Bidi Bidi Bom Bom.” To date, there has been no further announcement with respect to a potential premiere date nor casting. Featured on the Perez YouTube channel, the teaser trailer indicates the level of hype and excitement that surrounded the Queen of Tejano music. A prior story of her life and death was portrayed in movie form by renowned actress Jennifer Lopez in her breakout role. Released in 1997, the movie “Selena” went on to critical acclaim, grossing just over 35 million dollars and making it the 13th highest-grossing musical biopic to be released. Quintanilla’s death came at the young age of 23, resulting from gunshot wounds inflicted by Yolanda Saldivar – the rising star’s manager. “Entre a Mi Mundo” was Quintanilla’s breakthrough album, and “Selena Live!” won a Grammy in 1994 for Best Mexican/American Album. After bad business dealings and embezzlement were uncovered in 1995, Saldivar was let go as Selena’s manager. But in a confrontation with the pop star over some financial paperwork that was required, Saldivar shot and killed the up-and-comer. Her fan base has only continued to grow as a result of the untimely death, the telling of her story in film, and the throngs of listeners who continue to share the love of her music with family and friends. 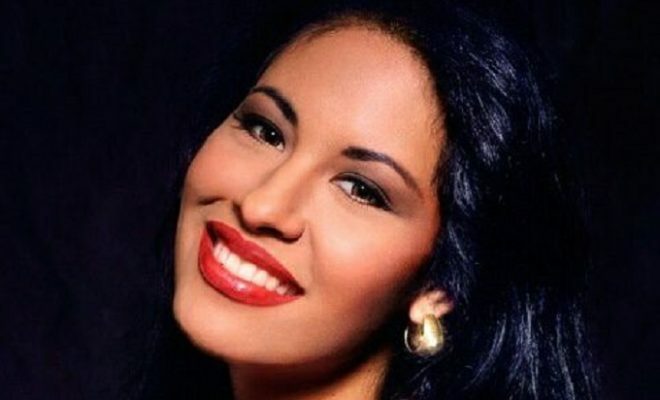 Her spirit lives on with the adoring fans interested in all things that honor her memory – including a recent second edition release of HEB Selena bags just announced by the popular Texas grocery chain. There’s also a bilingual picture book about the singer, for the younger fans among us. It’s truly time for this shining star to make her appearance in a series based on her strong Latino family supporting her singing goals. Next Story → Holiday Travel: Are you a Neal Page or a Del Griffith?